Over many decades KnitMesh have developed an enviable reputation for the supply of precision knitted mesh components that meet the exacting needs of their world-class customer base. The product range includes: airbag filters and actuators; catalytic converter and exhaust system gaskets, seals, wraps and muffler packing; and a range of anti-vibration and sound attenuation isolators. 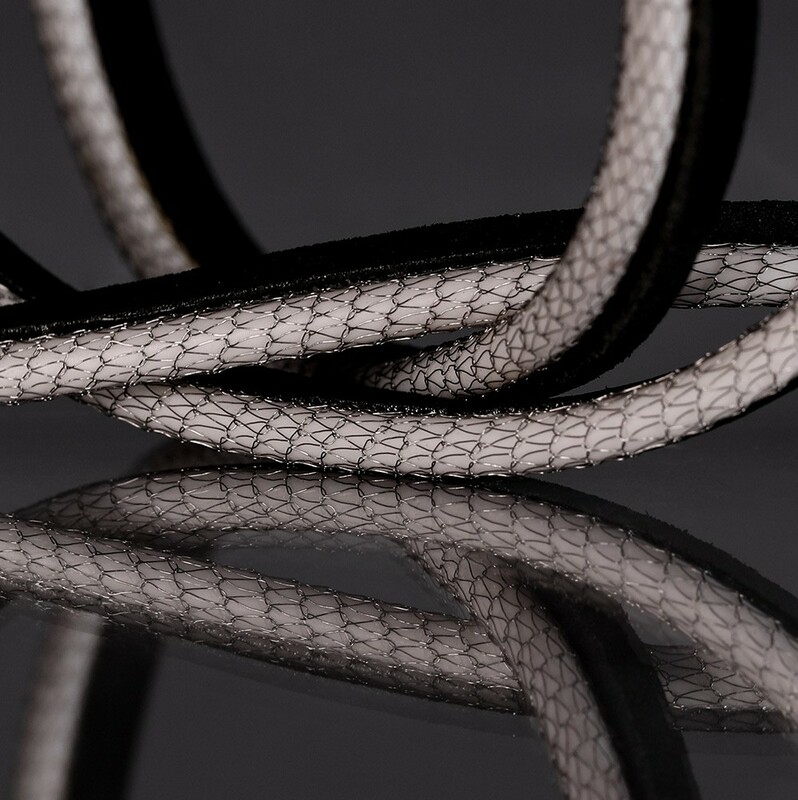 KnitMesh go further than meeting the required international quality standards and customer expectations, by continually innovating and investing in state-of-the-art design, production and testing techniques. Enduring partnerships are valued most highly and a passion for excellence has helped to deliver this goal. 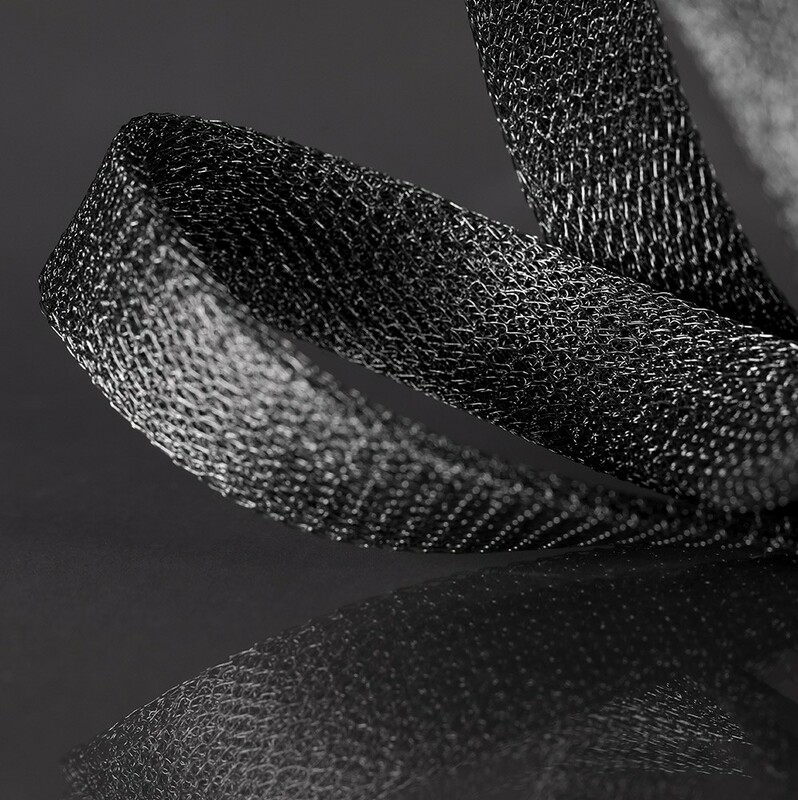 Around the world, many leading automotive component manufacturers rely on KnitMesh Technologies for their automotive knitted mesh needs. Explore the graphic below to see where our knitted mesh can be used. KnitMesh Technologies anti-vibration, sound attenuation and heat shields are highly effective absorbers of heat, noise and vibration energy. 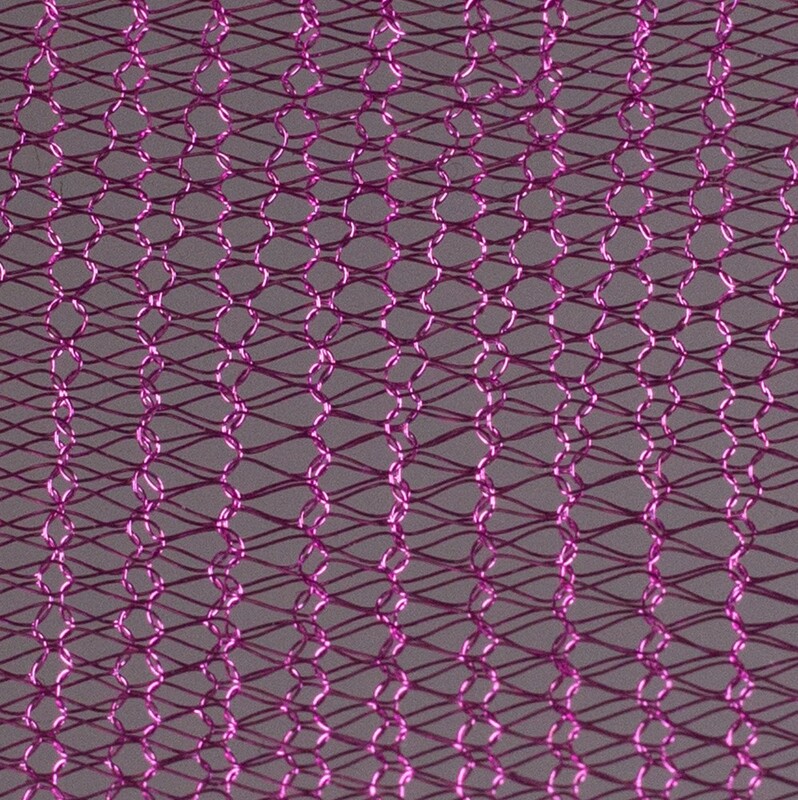 Knitted mesh has several properties that give it a unique ability to absorb energy. The result is a material ideal for use in many applications, able to reduce vibration, attenuate sound and dissipate heat. In the KnitMesh knitting process, wire loops are created that act like tiny springs. 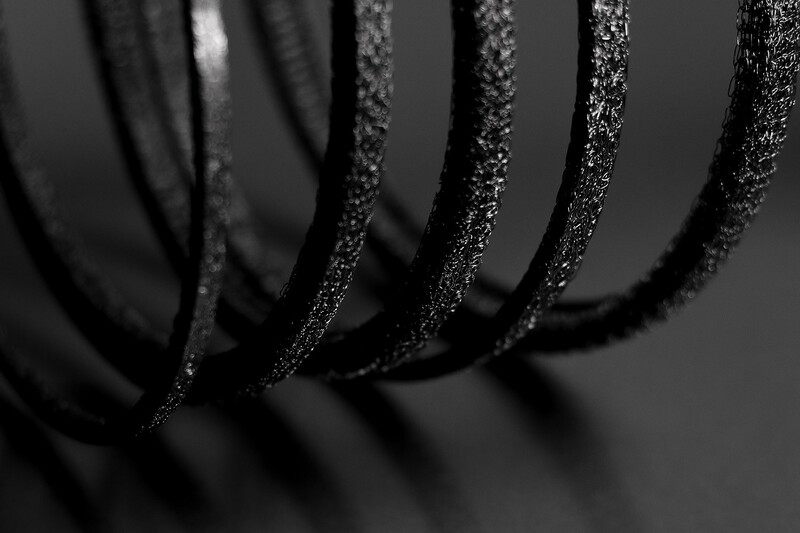 It is these springs that return to their original shape after being subjected to compression. The loops are also free to move in several directions, allowing the knitted material to have natural resilience and to vibrate when sound energy hits the knitted wires. When vibrating, the wires convert sound energy into thermal energy and, in doing so, create a sound-dampening effect. 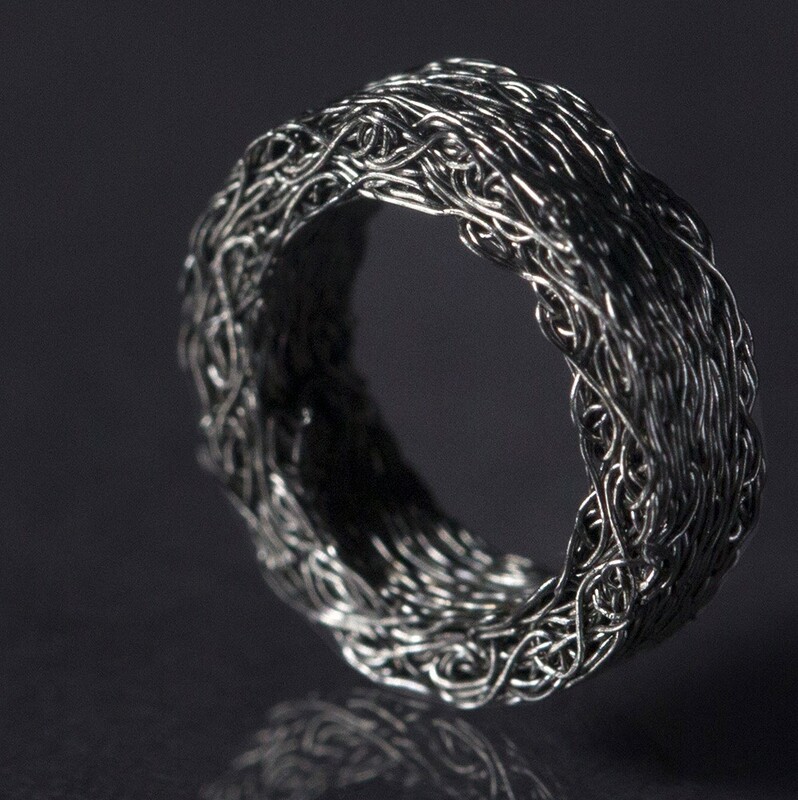 Compressing knitted wire mesh in a die creates an element that has a tortuous air path with intricate passages that also attenuate sound by absorption. This sound attenuation material is frequently used in applications where a less resilient material would fail. The above features enable the knitted material, in a variety of forms, to reduce vibration, attenuate sound or dissipate heat. In some cases, all of these functions can be achieved in the same application. 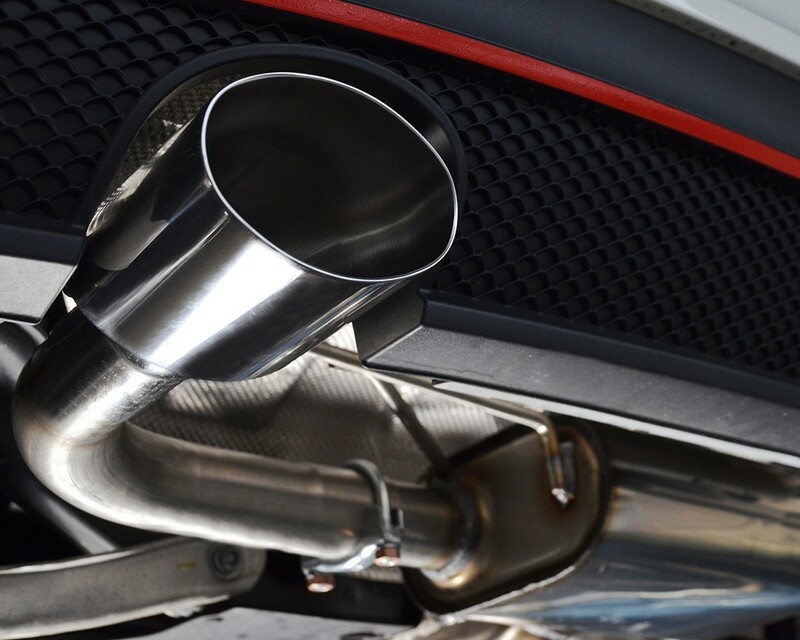 Commonly, these components have applications in automotive exhaust components, aerospace, marine and air tool industries, where thermal, vibration and sound attenuation insulation needs to be light weight, efficient and compact. Today's transverse-mounted engines generate high levels of vibration and therefore require a robust jointing system between the engine manifold and exhaust system that is capable of withstanding the stresses involved. 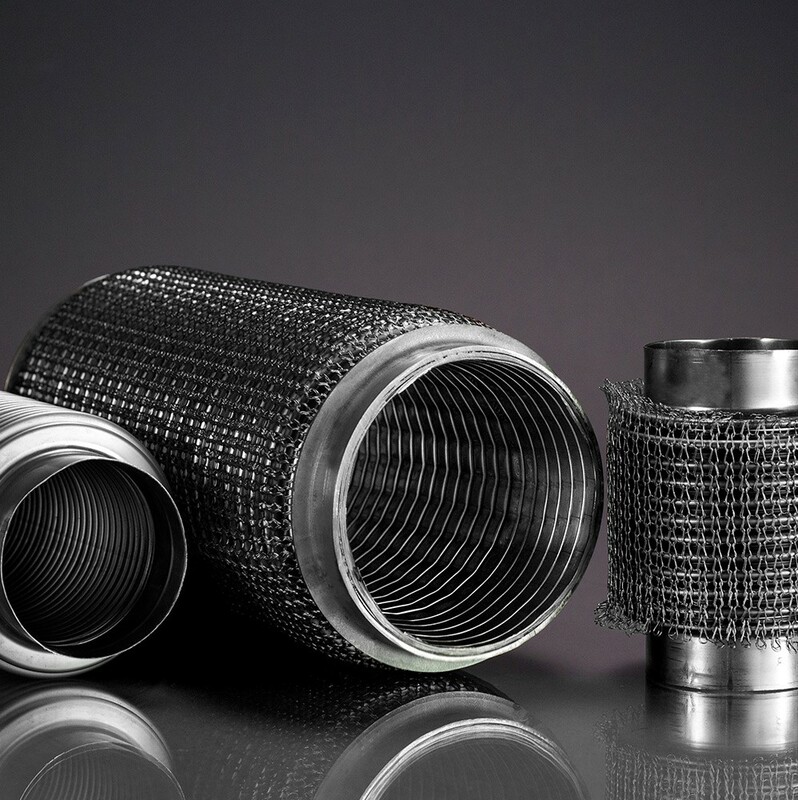 KnitMesh Technologies wire mesh catalytic converter seals are used to protect the delicate honeycomb ceramic brick within a catalytic converter from shock and vibration damage. Wire mesh catalytic converter seals are manufactured using mesh that is usually compressed in a die to make an even-density, all-metal one-piece end seal ring. They are designed to protect delicate ceramic bricks and intumescent mats from gas erosion and to prevent exhaust gas bypass between the brick and the inner catalytic converter shell. They are also used extensively within diesel particulate filter assemblies. Assemblies with two seals that fit around either end of the monolith brick, that are joined by connecting mesh, can also be produced. These seals are particularly useful where the converter can design does not have any other way of keeping seals in position. 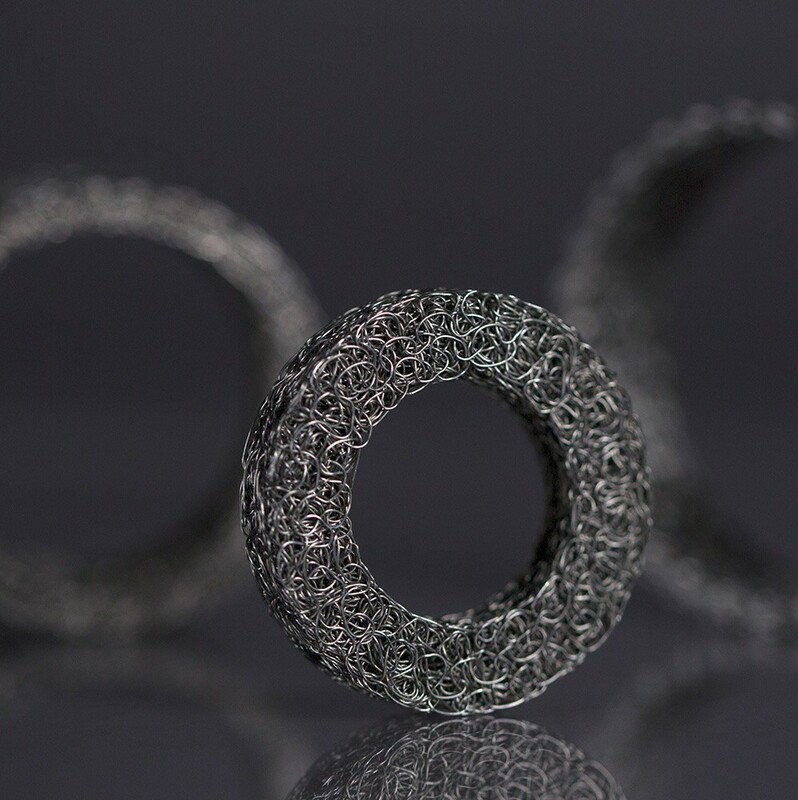 KnitMesh Technologies knitted mesh separation rings have been developed to provide a constant gap between the two ceramic honeycomb bricks in twin-brick catalytic converters. Using a metallic knitted wire mesh separation ring ensures the gap is consistent and prevents gas erosion of intumescent mats. For better shape definition, a sleeve of knitted wire mesh can also be placed around the outside of the wool packing. KnitMesh Technologies knitted mesh airbag filters have been specially developed to prevent incandescent particles from entering or damaging an airbag and to cool the expanding gas following actuation. 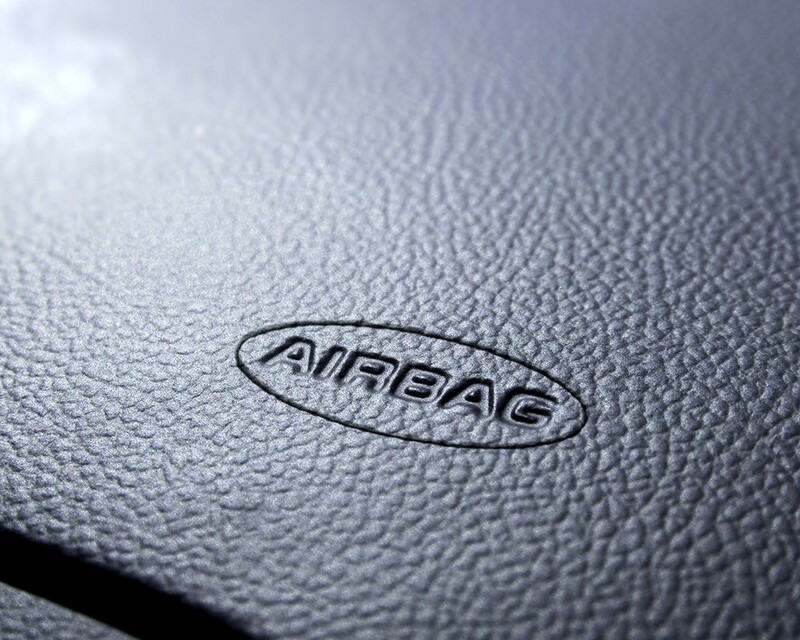 Incorporated in airbag inflator systems, knitted mesh airbag filters use uniformly compressed knitted wire mesh elements to trap particulates from the propellant and to cool the expanding gas. These elements are normally manufactured from large diameter stainless steel or carbon steel wire and are suitable for use in driver's side, passenger's side and side door inflator designs. Density can be varied according to degree of filtration efficiency required and elements are often highly compressed. 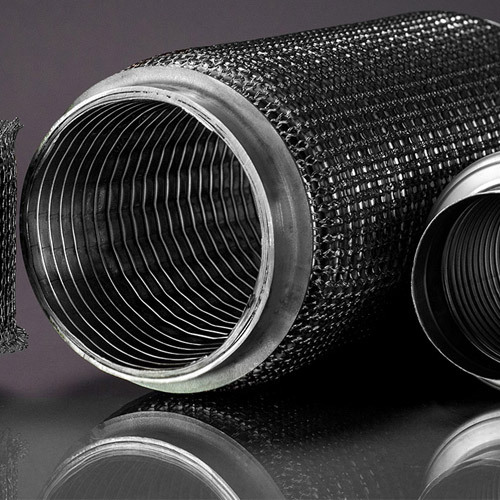 KnitMesh Technologies knitted mesh spacer rings and knitted mesh air gap seals are exhaust components used widely to reduce vibration and noise on dual pipe and down pipe exhaust systems by maintaining a constant gap between pipes. 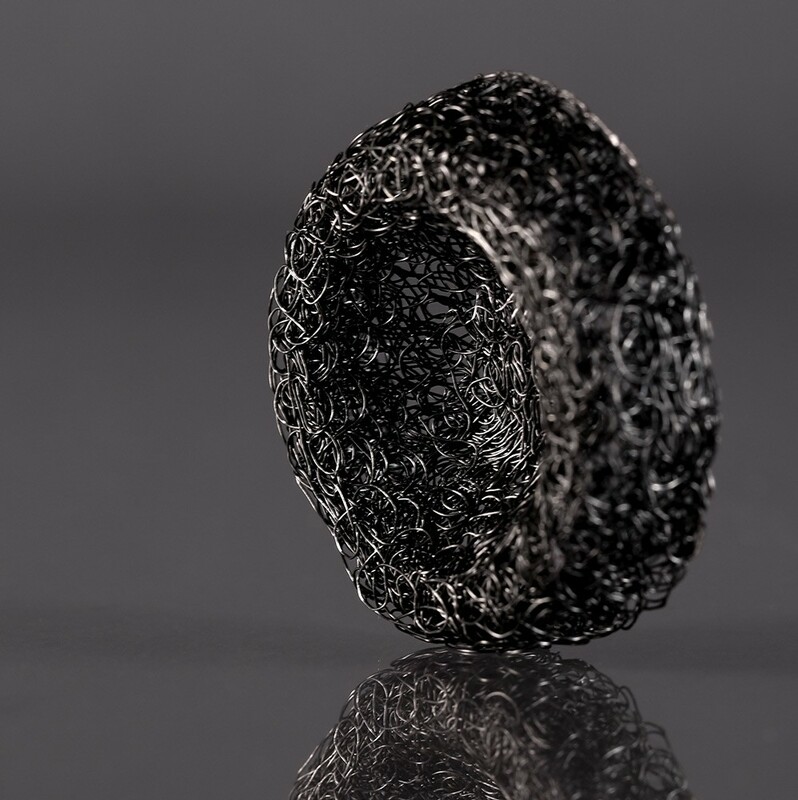 Sandwiched between the inner and outer pipes, knitted mesh spacer rings allow a constant gap to be maintained even with thermal expansion caused by temperature changes within the exhaust system. 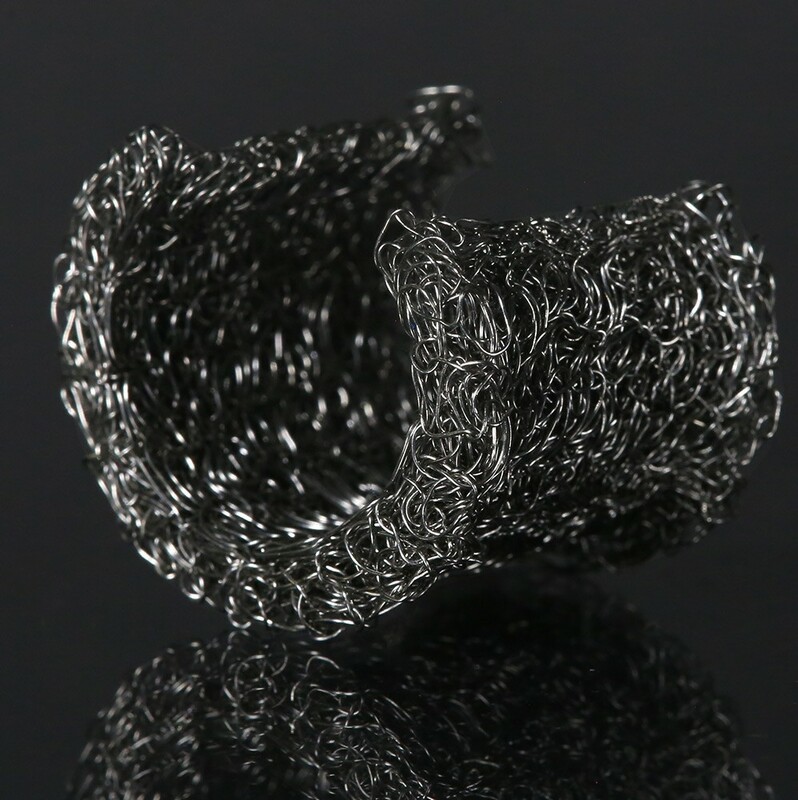 Knitted mesh spacer rings also act as extremely effective vibration dampers, protecting exhaust components, due to the tiny springs that are formed by the looped wires created during the knitting process. 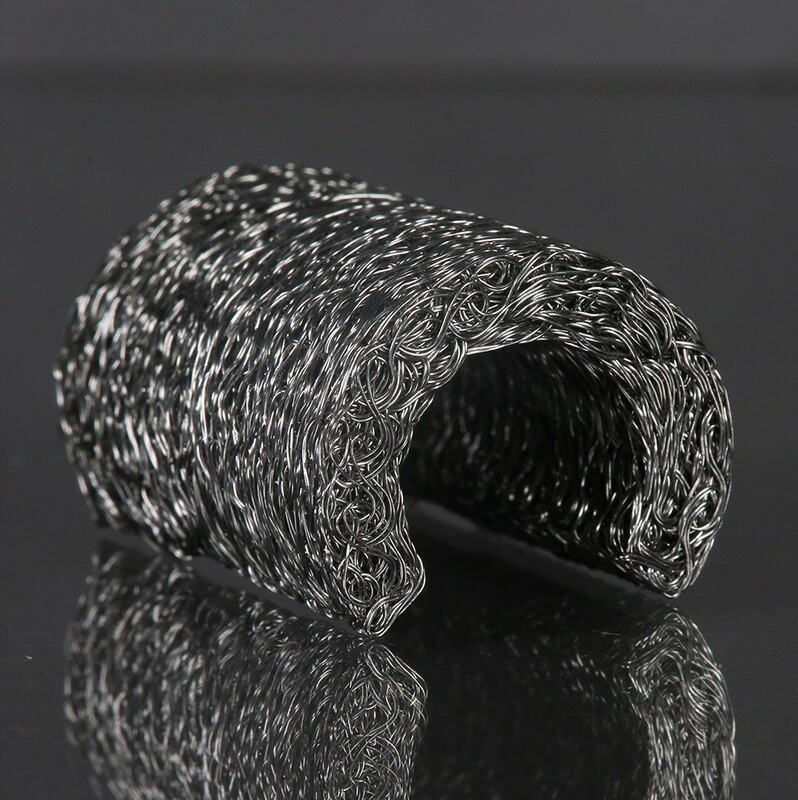 KnitMesh Technologies stainless steel wire wool tubes or pads are designed to encapsulate the perforated tube within mufflers to retain basalt /glass wool and enhance performance. 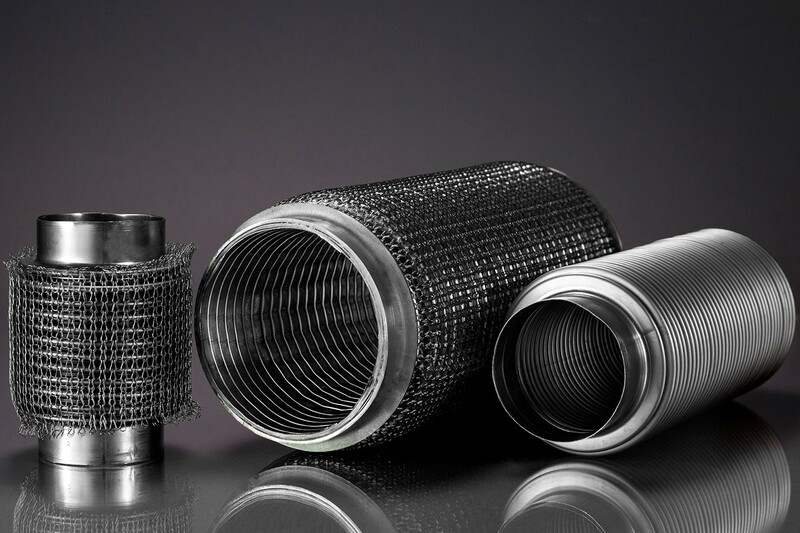 Using our knitted mesh exhaust silencer packing materials and knitted mesh muffler packings will also give the muffler a longer life as the gas erosion of the fibres is reduced. Wire wool packing is normally manufactured from grade 434 stainless steel and can be supplied in bulk, roll form or in tubular or die cut form for easier installation where more complex shapes are involved. KnitMesh Technologies actuator filters utilise production techniques that ensure a uniformly compressed knitted wire mesh structure – please contact us for more details. Please contact us for more details of how we can help you with your requirements for support clamps and fastenings and associated mesh split-rings (C rings) – we can supply the mesh alone or whole assemblies. 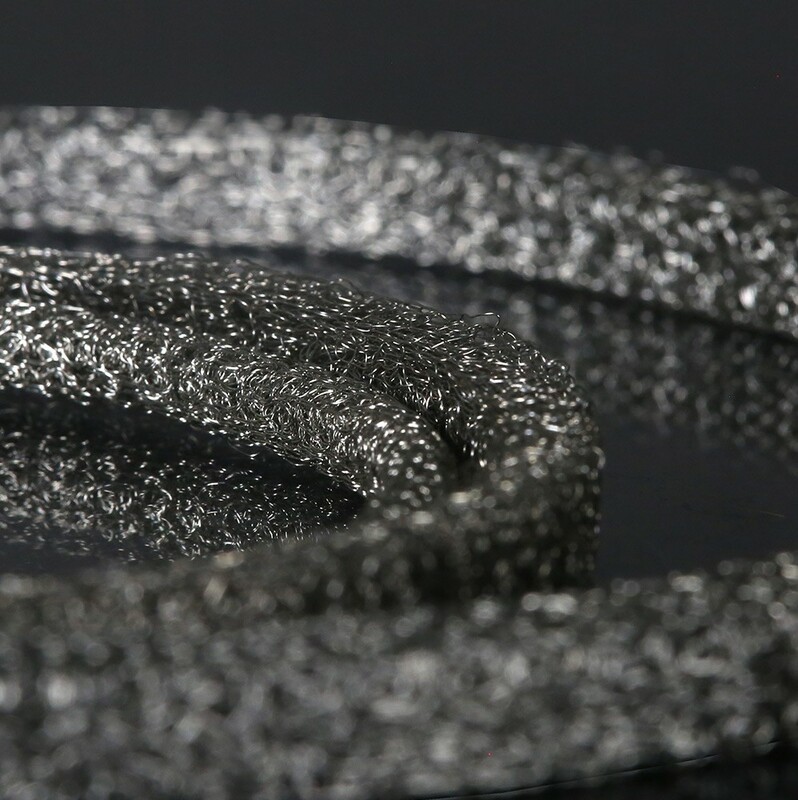 KnitMesh Technologies have developed a new method of welding mesh to steel washers, that dramatically reduces customers scrap rates. This is particularly relevant to the production of isolators and decouplers for heat shields, please contact us for more details. 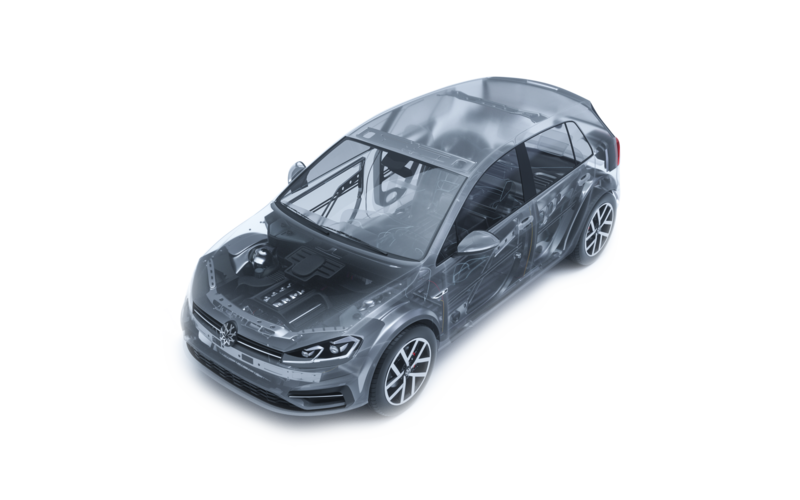 With over 60 years experience of manufacturing knitted mesh for EMC shielding, we can supply robust bespoke products for protecting ANPR roadside equipment from electromagnetic interference (EMI) and radio frequency interference (RFI). Bump stops protect a car’s suspension system when it is under compression and moving parts come into contact with each other. For some motoring conditions polymeric or elastomeric bump-stops just won’t do and a knitted wire mesh alternative may be considered for high performance or motor-sport applications. 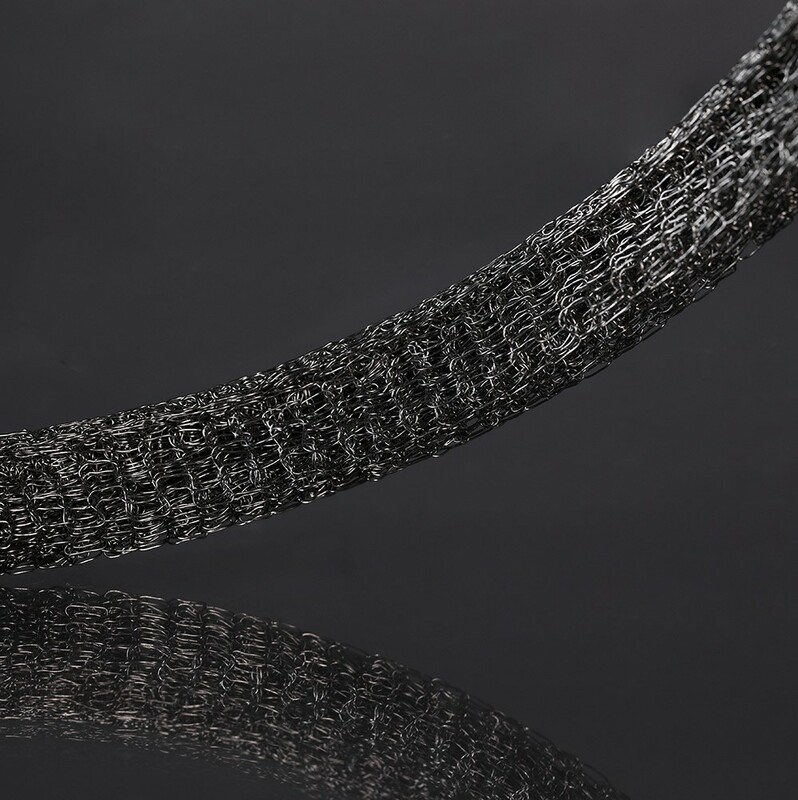 Knitted wire mesh has a unique interlocking asymmetrical wire loop structure that in a layered and compressed form is an ideal medium for automotive metal casting, such as alloy wheels or high-performance motor-sport components. 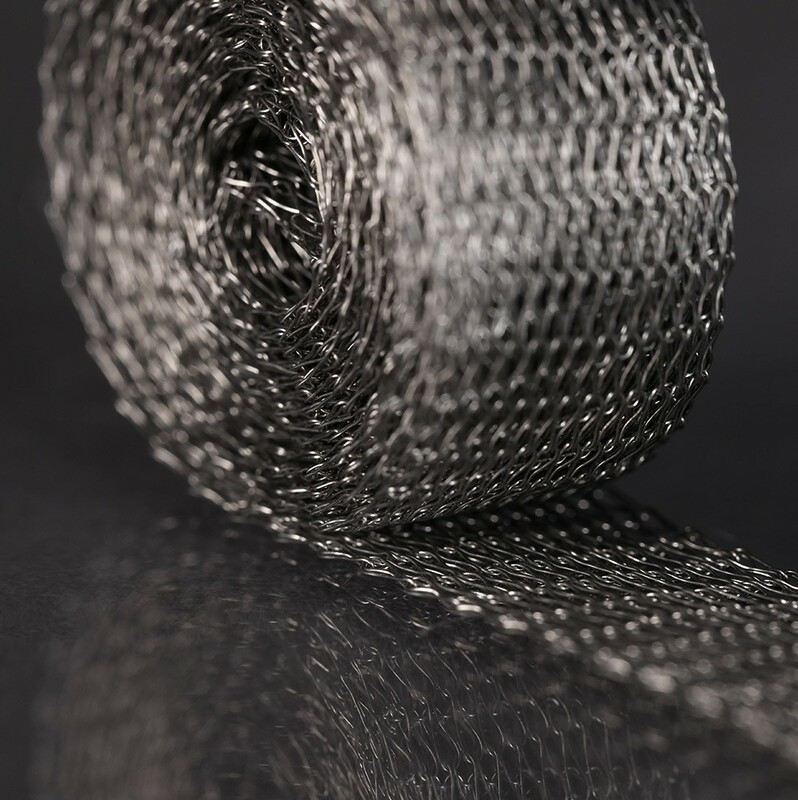 Our knitted mesh is a conductive compressible fabric with superb resiliency and heat and corrosion resistance, that makes it a potential material choice for electrical contact and pressure compensation applications within new generation fuel cell and battery technology developments. Our all metal products are recyclable and eco-friendly. 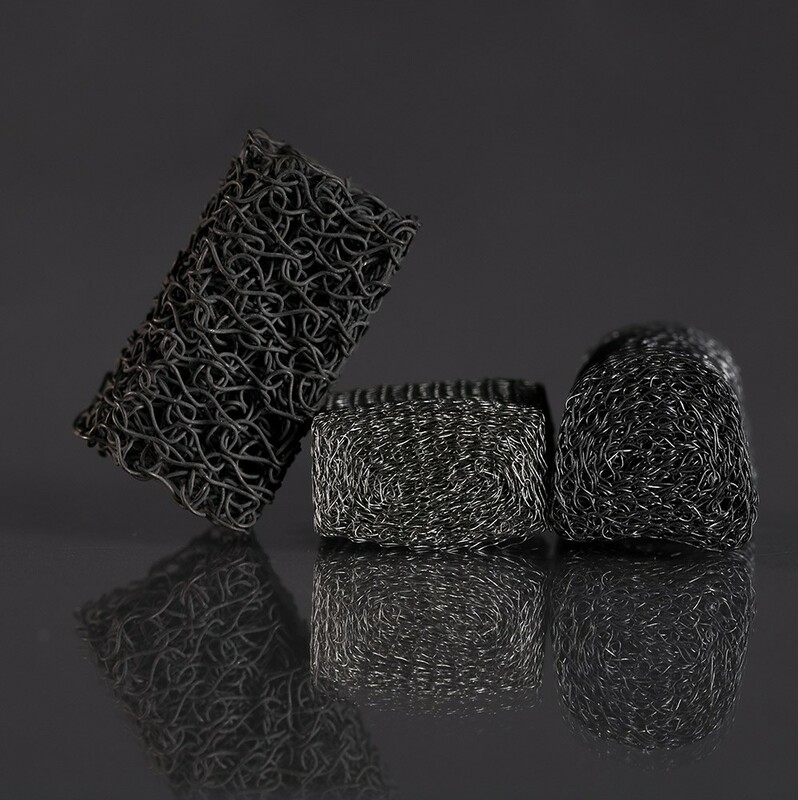 Knitted wire mesh may be considered as an alternative material for anti-slosh devices and baffles that control adverse fuel ‘slosh’ or movement. 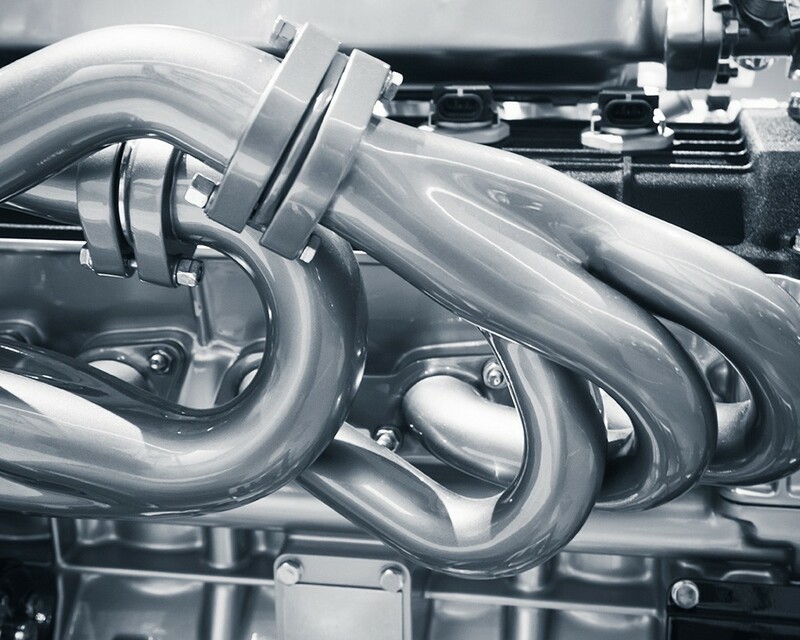 Mesh gaskets for clamps and jointing solutions are used in a variety of automotive applications, including, turbo inlet and outlet connections, exhaust gas recirculation and for diesel particulate filter system connections. We can produce mesh and graphite components to your individual design requirements; including graphite with our mesh provides added lubrication and gas sealing properties to a range of gaskets, seals, bearings, bushings, isolators and anti-resonance decouplers. KnitMesh Technologies offer non-mesh products that are used to support, encapsulate, integrate with or provide attachment to knitted wire mesh components. By utilising the latest manufacturing techniques, KnitMesh can provide customised solutions to maximise value engineering benefits. Knitted mesh is a metal, ceramic or synthetic wire that’s knitted into a mesh of interlocking loops. 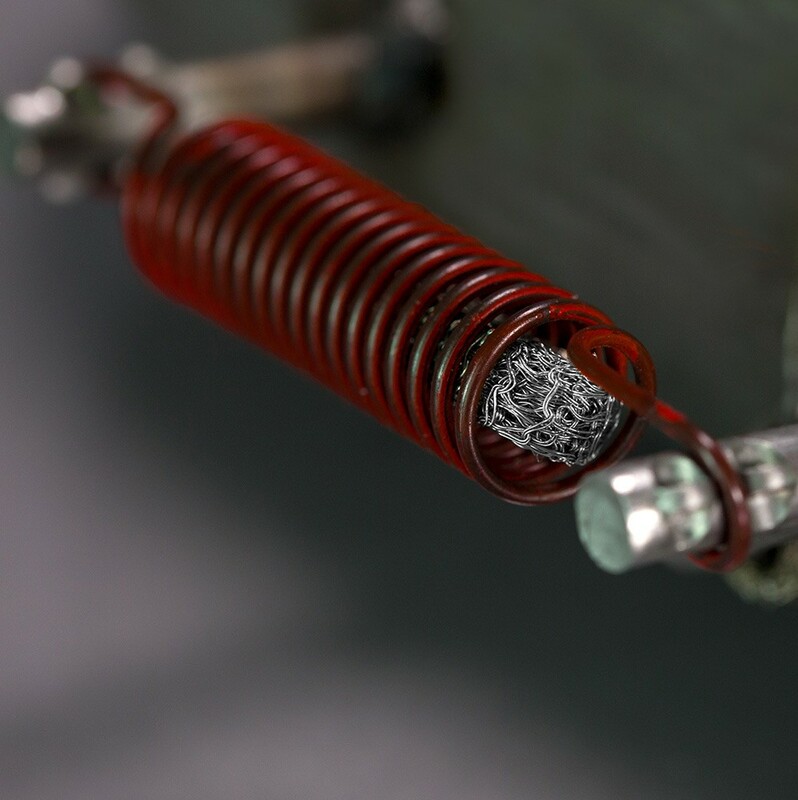 With fantastic heat and corrosion resistance, not to mention the ability to reduce vibration, shock and noise, this strong, flexible and resilient material is ideal for all kinds of applications. Quite simply, it works where inferior products fail. Depending on the design of the mesh and the materials used, knitted wire mesh structures can absorb energy elastically i.e. with no permanent deformation unless its elastic limit is exceeded. Typical applications include oven door seals where the mesh is behaving as a tubular spring compressed along its length. Plastic energy absorption occurs where the energy absorbed by the mesh structure is dissipated as heat. For example, in bump stops and vibration isolators applications (see also High Resilience). Porosity can be defined as the percentage of free (or empty) space contained in the total volume of a given structure. 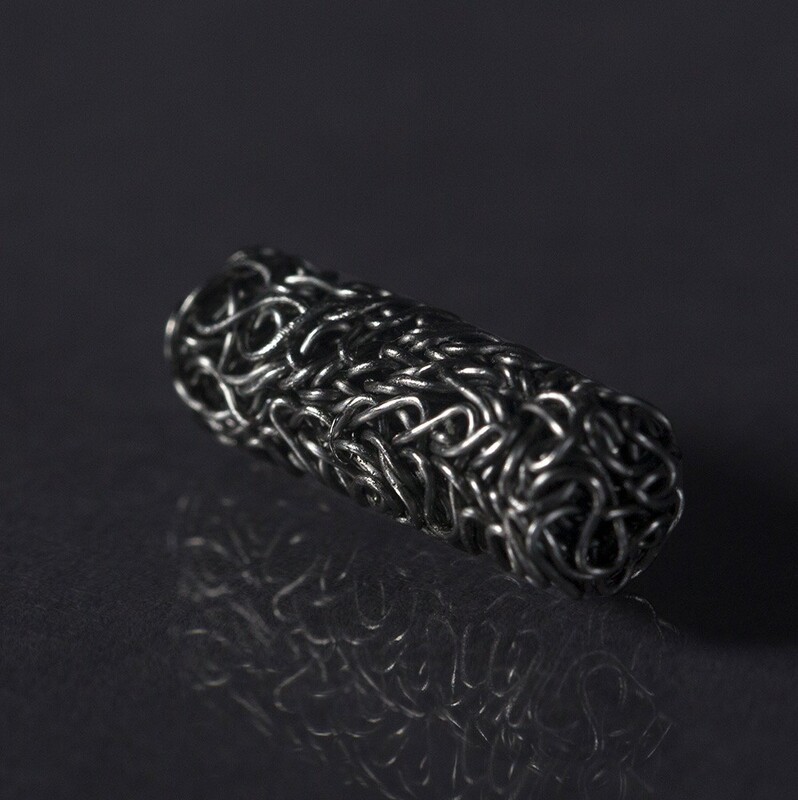 The types of materials and manufacturing processes used in the production of our knitted mesh components allow the porosity to be almost infinitely controlled from almost zero to >98% void volume. This feature also facilitates the control of pore size and permeability levels allowing engineers to design products of varying strength and densities for use in filtration and other applications where the control of fluid or solids flow is critical. Knitted mesh is made of wire, comprising continuous lengths of filament of almost any material type, formed into interlocking loops. This unique structure produces a material that, whilst being highly flexible, has the tensile strength characteristics of the component filament material. Applications include very fine flexible mesh nets such as those used in animal enclosures that can withstand snow loading of >250kg per m2. Knitted mesh can be processed into virtually any shape from flat mesh through circular, rectangular or cylindrical form. Materials can be selected from a huge variety of size, type and colour ranging from very fine (<0.05mm) and translucent up to 0.8mm diameter. Where appropriate designers can make their selection bespoke to their specific needs, from almost invisible for desecrate application, or bright and bold for use in art or architectural applications. 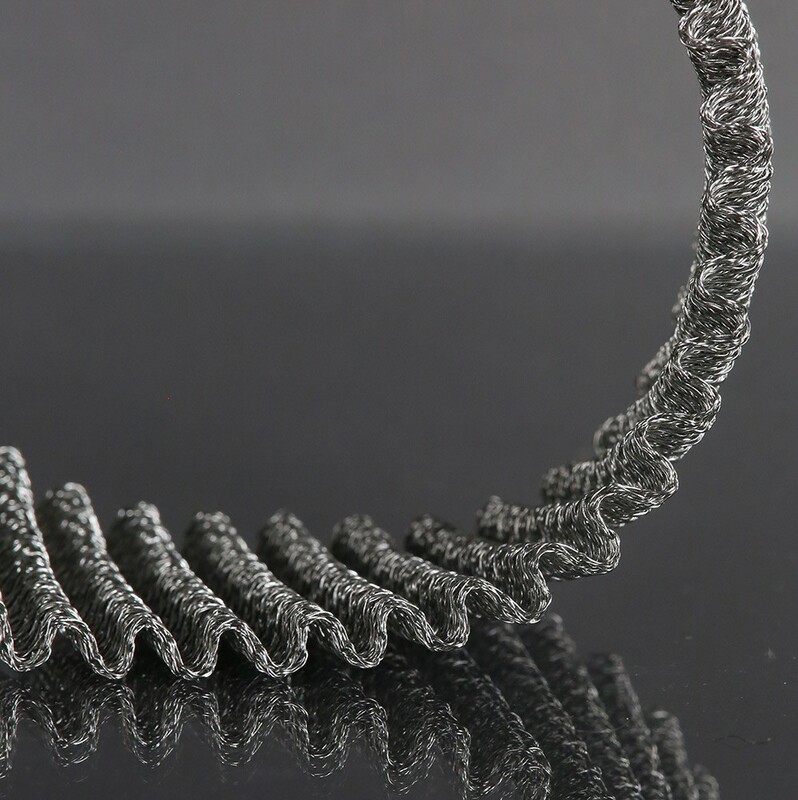 Knitted mesh can be processed from a wide variety of materials to produce densely packed components with high surface area per unit weight or volume. Surface areas of >30,000 m2 per m3 of compressed material can be achieved which is equivalent to >5 m2 per kg of stainless steel. 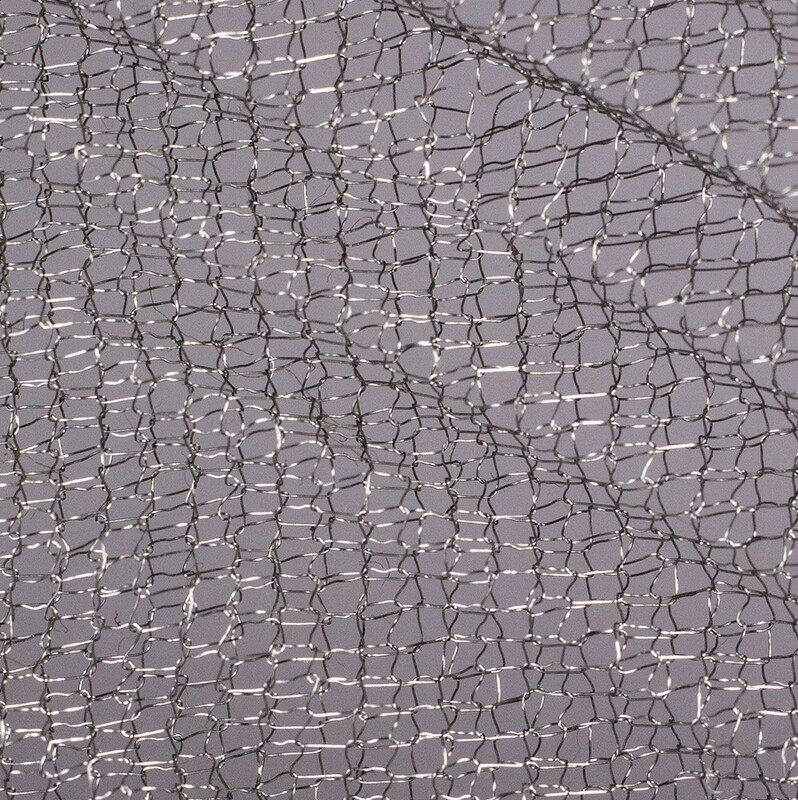 In cost terms this feature of knitted mesh compares very favourably to other technologies and is utilised in applications such as catalyst substrates or where rapid heat transfer from a fluid is required. 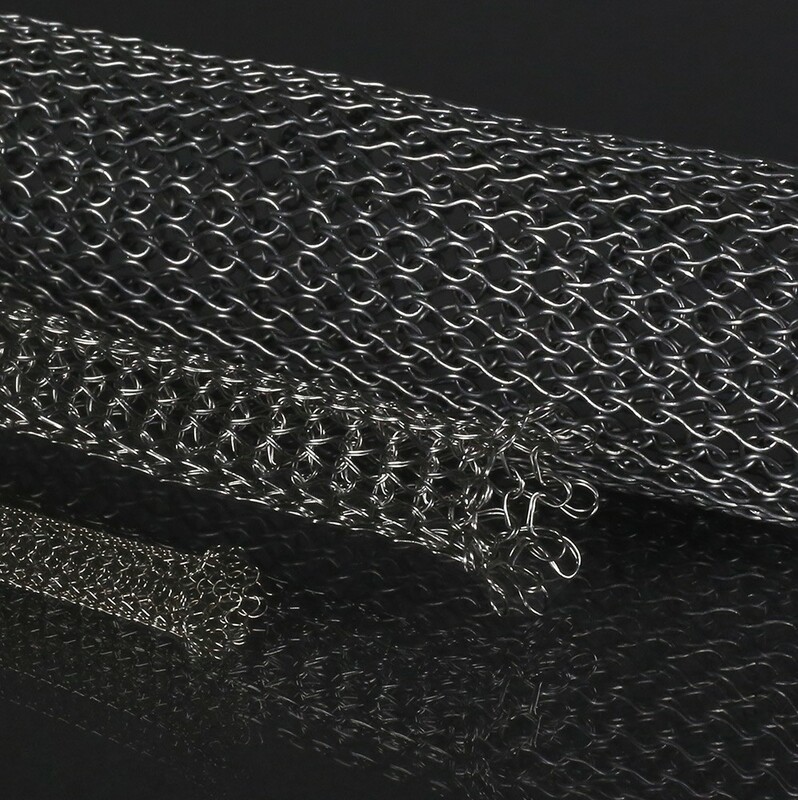 Knitted wire mesh products offer low cost solutions when compared to other technologies such as sintered materials and high temperature elastomers. For volume production, our relatively low raw material and tooling costs, together with high speed automated manufacturing processes result in very competitive unit costs. This is also the case for lower volume customer requirements where our extensive experience and specialised equipment facilitate cost effective bespoke solutions. A feature of knitted wire mesh is its ability to conduct an electric current. The specific conductance and heat retention and dissipation characteristics, together with the type of wire and its cross-sectional area, are key selection and design criteria. 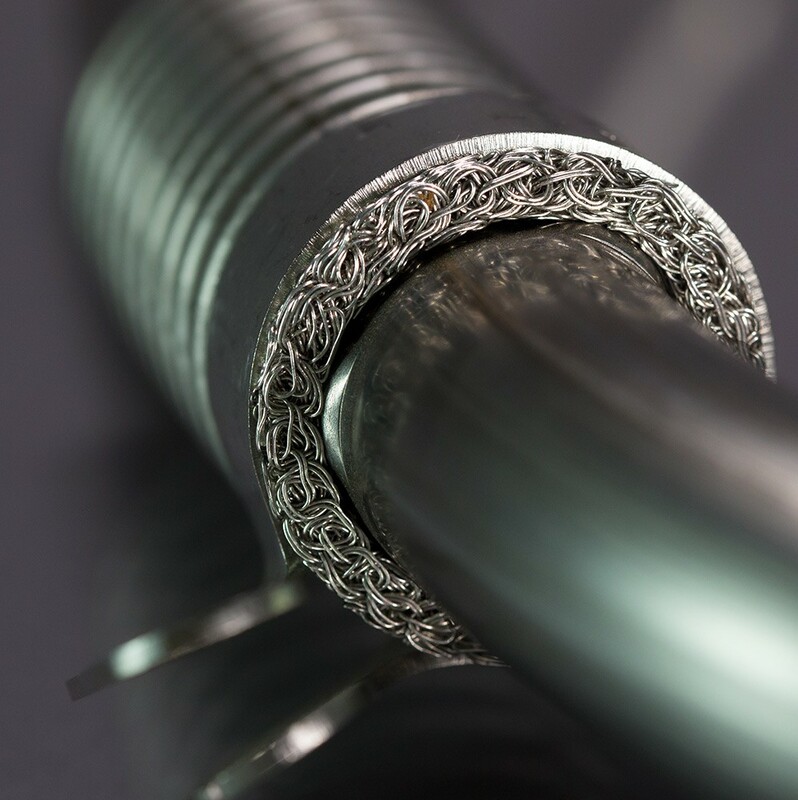 The wire can be insulated by a variety of materials with the most common uses being in heating and security applications. Any material that can be produced as a yarn, fibre, or wire can potentially be produced in knitted mesh form. We have over 70 years of experience in the processing of a huge range of materials including stainless steel; carbon steel - both plain and galvanised; precious metals including nickel, platinum and gold; glass wool and fibre; a wide range of plastics; carbon fibre; and a range of plated and coated wires. Composite structures incorporating a blend of different filaments to deliver properties against specific customer requirements. Whether you know your muffler vibration mounts from your high-frequency vibration dampers, or you’re completely new to the world of automotive, we’re here to help. Knitted wire mesh can galvanise vehicle performance. Let us show you how. Our exhaust decoupling rings are used in decoupling joints and load support assemblies to absorb vibration, take-up thermal expansion and reduce noise. KnitMesh Technologies anti-vibration, sound attenuation & heat shields are highly effective absorbers of heat, noise & vibration energy. KnitMesh compressed wire mesh components are ideally suited for use as catalyst substrates for small two- and four-stroke engines. Mesh gaskets for clamps and jointing solutions are used in a variety of automotive applications. 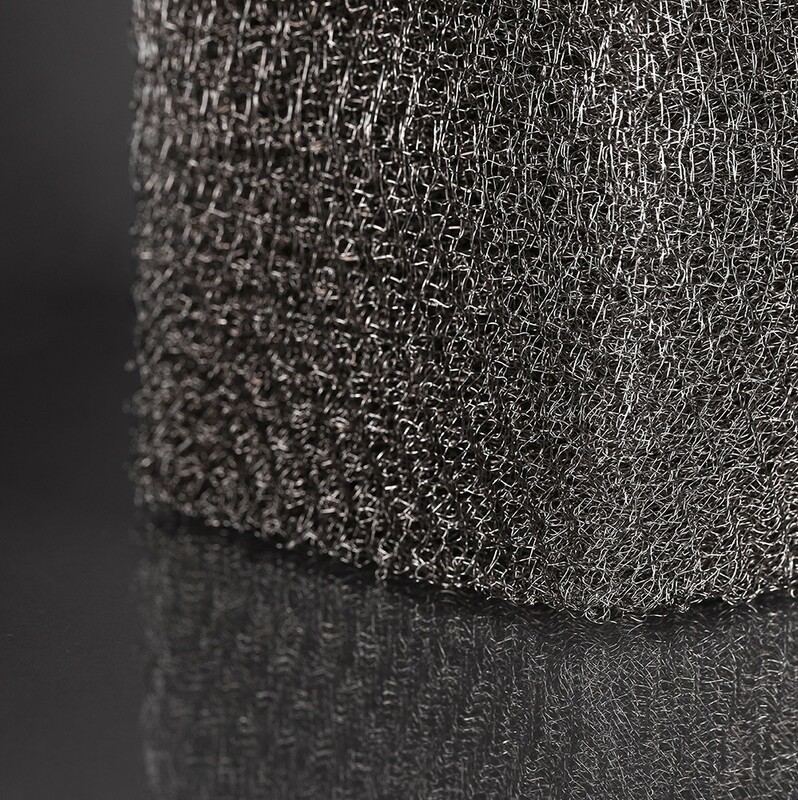 Knitted wire mesh may be considered as an alternative material for anti-slosh and baffle devices that control fuel ‘slosh’ or movement within a fuel tank. ANPR (Automatic Number Plate Recognition) systems are increasingly being deployed around the world and such equipment may require protection from electrical and magnetic interference. KnitMesh Technologies actuator filters utilise production techniques that ensure a uniformly compressed knitted wire mesh structure. Specially developed to prevent incandescent particles from entering or damaging an airbag and to cool the expanding gas following actuation. 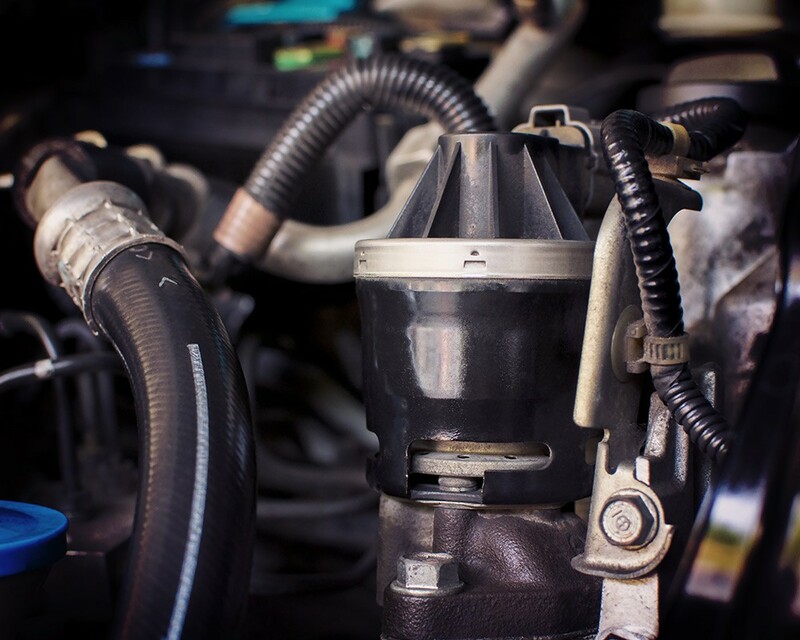 Meeting environmental legislation head-on, our range of knitted wire air/oil separator elements and oil filler cap breathers are perfect for the automotive industry.